Kyphosis and lordosis are types of spinal deformities. While slight curvature of the spine is normal and healthy, there are some cases where it is over-pronounced and can cause both cosmetic deformity and health risks. Lordosis occurs when the spine curves too far inward in the low back. 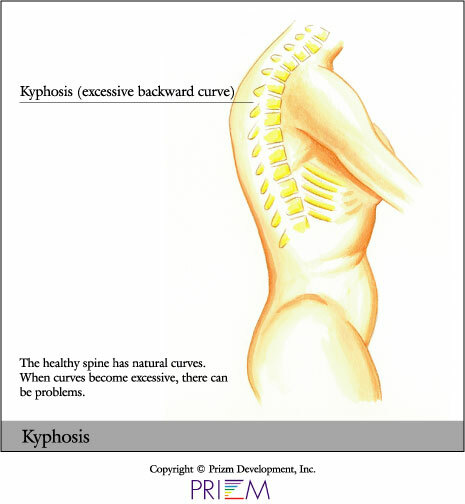 Kyphosis occurs when the spine in the shoulder blade area curves forward more than normal. Individuals with kyphosis may have visible humps in their back. Kyphosis or Scheuermann’s disease most often occurs in the thoracic area of the spine and is often noticed as adolescent roundback or stooping. 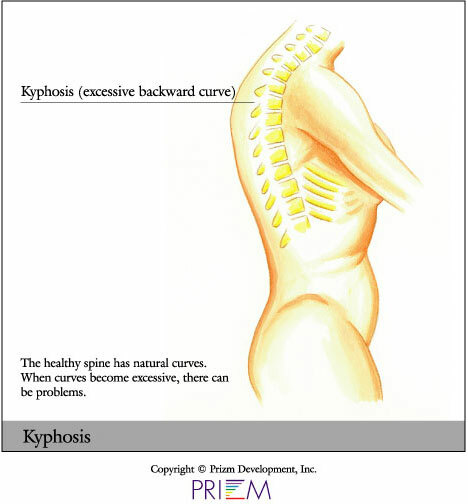 A normal kyphosis curvature is 40 degrees in young adults. Curves over 70 degrees are often associated with more lifelong pain and may result in a more sedentary profession than normal patients. Some people are born with kyphosis when there is a naturally occurring abnormality in the spine. Kyphosis can also be an acquired condition. Teenagers in particular may develop kyphosis due to bad posture, especially girls between the ages of 12 and 15. Adolescent and adult kyphosis is called Scheuermann's disease. Other causes may include previous lumbar surgery with fusion for back pain, scoliosis or stenosis. This lumbar fusion may lead to “flatback” or permanent stooping. 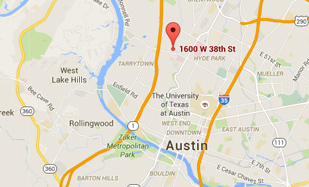 In these patients spinal balance issues can go unnoticed and a flatback result. A previous failed surgery on the spine may also lead to kyphosis. When treating kyphosis, the cause of the disease must first be considered. Some cases require surgery early on, while other times, bracing and physical therapy may be the best course of action. Although bracing can help reduce pain symptoms, it is less successful at fixing the underlying problem of a curved spine, especially in adults. Bracing can be used for progressing curve in skeletally immature patients. Strengthening and stretching programs can be successful at reducing symptoms. Swimming and other low-impact forms of exercise are beneficial. In cases which require surgical intervention, such as a large or progressive deformity, the goal is to reduce the curvature and relieve pain and discomfort over a long period of time.